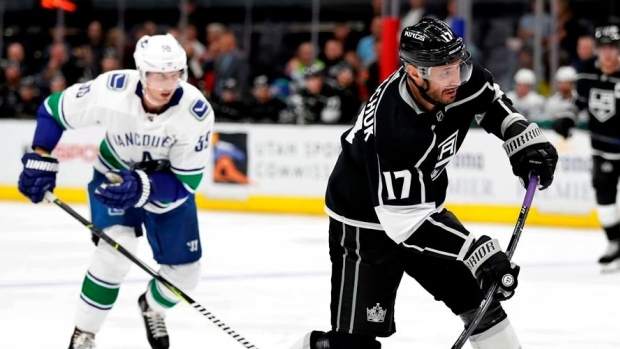 The Los Angeles Kings will be without the services of forward Ilya Kovalchuk for about a month, the club announced on Sunday, after undergoing a procedure on his ankle. Kovalchuk, 35, underwent a bursectomy and is set to be sidelined for up to four weeks. The 2001 first overall selection in the NHL Entry Draft has five goals and nine assists this season in 25 games. This is Kovalchuk's 12th NHL season and first with the Kings, with whom he signed a three-year, $18.75 million deal in the summer. Kovalchuk spent the last five seasons with SKA St. Petersburg of the Kontinental Hockey League. In 841 career games with the Atlanta Thrashers, New Jersey Devils and Kings, Kovalchuk has 422 goals and 408 assists.